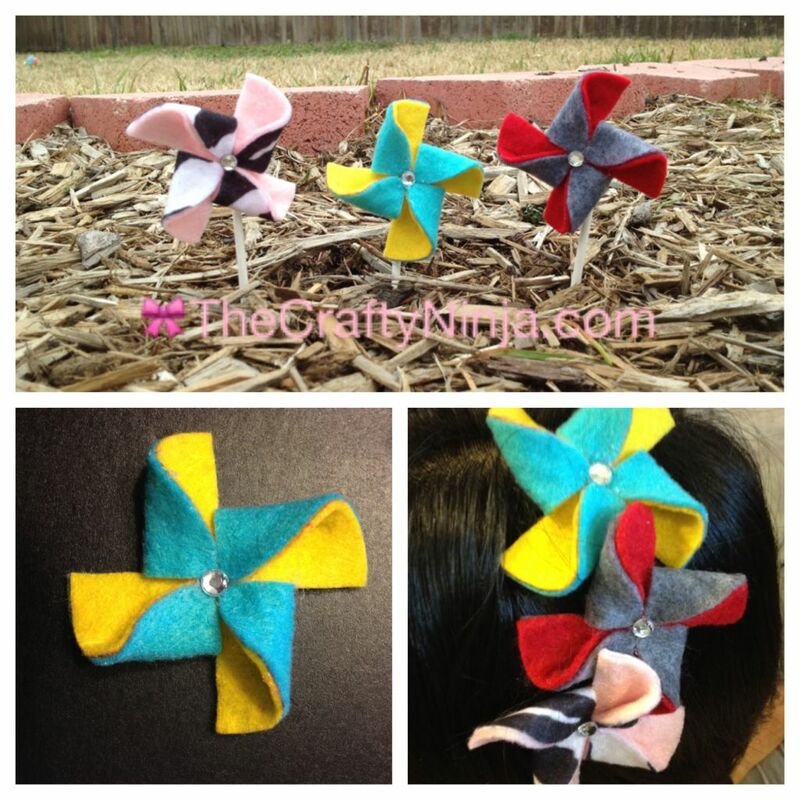 These Darling Felt Pinwheels can be used to decorate for a party, replace a bow on a gift wrap, hair accessories, brooches, give them as gifts, glue on pens and pencils… the uses are endless. First use the 3 inch template here and trace and cut on two colors of felt. 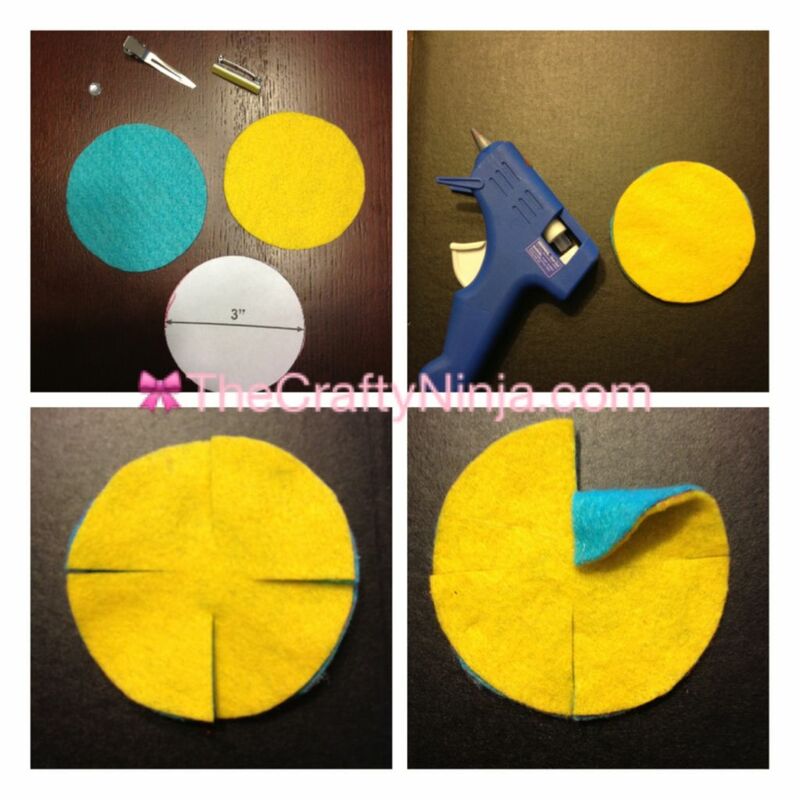 Glue the two pieces of felt together. Cut into fourths but not completely to the center. Take the corner and glue to the center, repeat three more times. Glue a rhinestone to the center and add a brooch or hair pin to the back.